Hana Piranha share raucous new single Silk and Poison! 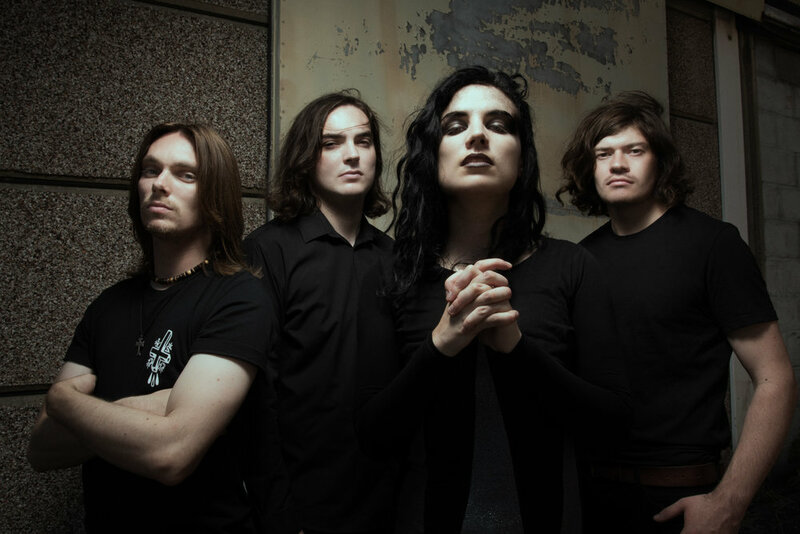 To celebrate the release of their new album Waiting To Burn, goth-rockers Hana Piranha have now shared their raucous new single Silk and Poison, out now. Each track on the album overflows with powerful guitar riffs, pounding drum beats and snarling vocals from leading anti-heroine Hana Maria(violin/vox). Hana’s vocal pierces through the fierce musicality effortlessly, sounding akin to the likes ofJuliette Lewis or Garbage’s Shirley Manson. Hana Piranha are a band that breach genre with their use of traditionally classical instrumentation, such as violin and harp, in a hard rock setting. Hana’s razor sharp violin licks are undeniably impressive, enabling that band to create a sound that is dark and tantalising. HYYTS to headline Edinburgh's The Mash House! Ahead of the release of their new single Car Crash Carnivore, precocious pop duo HYYTS will be playing a headline show at Edinburgh’s The Mash House on 4th April 2019. Adam and Sam HYYTS started making music together in 2015 and have been making waves ever since. Having kicked off the year with a sold out show at the Glasgow Poetry Club and confirmed festival slots at Electric Fields and Loopallu, 2019 is shaping up to be a very exciting year for the future pop duo. Tickets for The Mash House headline show on 4th April 2019 available here. HAVVK share thought-provoking video for If I Don't Tell You! Formidable trio HAVVK have now shared the abstract and thought-provoking new video for their latest brooding cut, If I Don’t Tell You, out now via Veta Records. This video was directed by James Byrneand illustrated by John Rooney. This is the third release from their upcoming debut album, Cause & Effect, out on 22nd November 2019. If I Don’t Tell You once again showcases HAVVK’s incredible ability to create grunge-infused, compelling soundscapes that are brimming with attitude. Front woman Julie Hawk’s stunningly searing vocals soar over razor sharp guitar licks and pulverising drum beats effortlessly. The single tackles the very real and current issue of social media and how we can become lost between a genuine version of ourselves and the one that we feel pressured to present online. ACRYLIC remove rose-tinted glasses in powerful new video! ACRYLIC have now shared the powerful new video for their new single Money From Home, out now via Scottish Fiction. Money From Home is a break up song that takes the listener on an emotive journey. Oozing with atmosphere and celestial soundscapes, ACRYLIC’s staple blend of sweeping guitars and tranquil harmonies are at the forefront. Director Dylan Moore describes the video as about "coming to terms with a relationship which has come to an end, and this is manifested as a performance between two figures unfolding like a memory. Beginning with a passionate embrace, the figures eventually succumb to the tension that exists at the boundary between love and possession. The video is about taking off the rose tinted glasses, and realising that sometimes the best thing for both of you is to let go and move on." Closet Organ pack a punch on new AA-side single! Glasgow based four-piece Closet Organ have released their AA-side single Smells Like Lynx Africa / Fat & Die: An Autobiography, out now via Cow Tongue Taco Records. 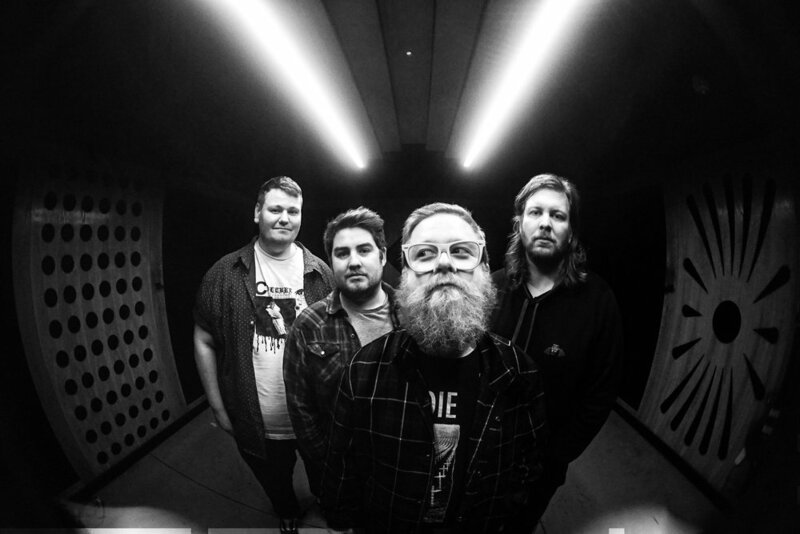 As they say themselves, “the one thing that we never wanted to be is yet another band full of boring bastards playing the same generic indie/classic rock pish that is indistinguishable from the band that came before them.”. Having achieved this goal with aplomb, Closet Organ have set about unleashing a AA-side single that sonically packs a punch and lyrically challenges. Having lost a close friend a year ago, the single explores themes of mental health issues. The lyrics tackle the difficulties of dealing with our own mental health while attempting to gain approval and validation from our social media interactions.